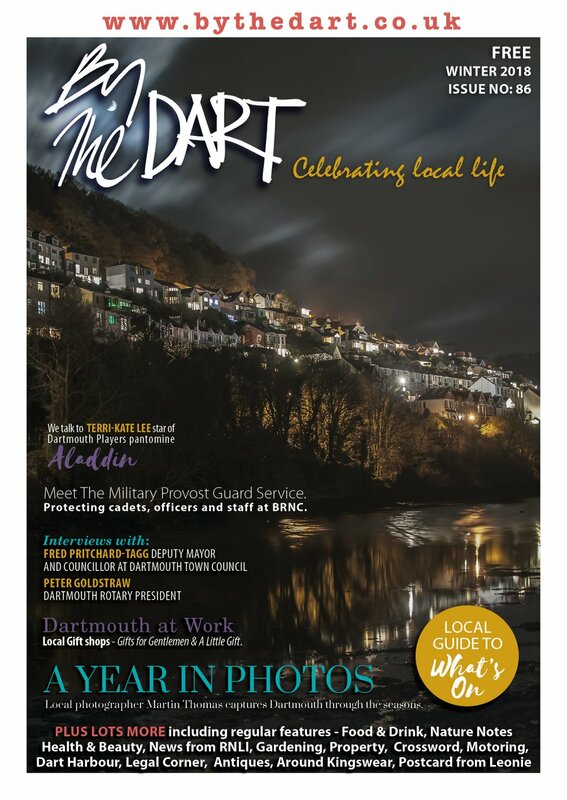 The front-cover image of the August 2014 Issue of By the Dart was created exclusively for By the Dart by Torbay artist Becky Bettesworth. Becky’s work recalls the classic railway posters of the 1930s. Her vintage seaside posters exude all the unspoilt charm that characterised the originals, skilfully updating them with the use of sharp colours popular in the modern palette. With each new print celebrating a different town or area of South Devon, Becky’s reputation has gone from strength to strength. Becky draws her inspiration from a time before the current obsession with the latest gadgets and gizmos – that idealistic notion of life drifting at an easy pace. She aims to show places off at their best, without the fuss and rush of the modern world. Becky began this style of work when she was asked to exhibit in the gallery at Greenway National Trust in 2013. She realised the enchanting look of the 1930s railway posters would lend itself perfectly to capturing the beauty of the Greenway estate. Before this, married life and the pressures of being a full time mum to three young children meant that Becky’s art had taken a back seat for a while. This was a difficult time for Becky – art had always been her passion and a crucial part of her identity, as far back as her primary school days. She had obtained a distinction at art foundation and a BA Hons in Graphic Design at Bath Art College and had gone on to forge a successful career as an art director for a major advertising company in London. The invitation from Greenway gave Becky an opportunity to rediscover her creative confidence and she leapt at the chance. The exhibition was a huge success and from there Becky’s portfolio and popularity blossomed. The finished product is a blend of techniques – sketches, photos and images all come together with lashings of artistic license. Although Becky uses Photoshop to create the crispness and vibrancy of her colours, she remains a purist at heart. Time spent sketching and composing her ideas gives her work that hand-painted look, which a digital image by itself could never achieve. 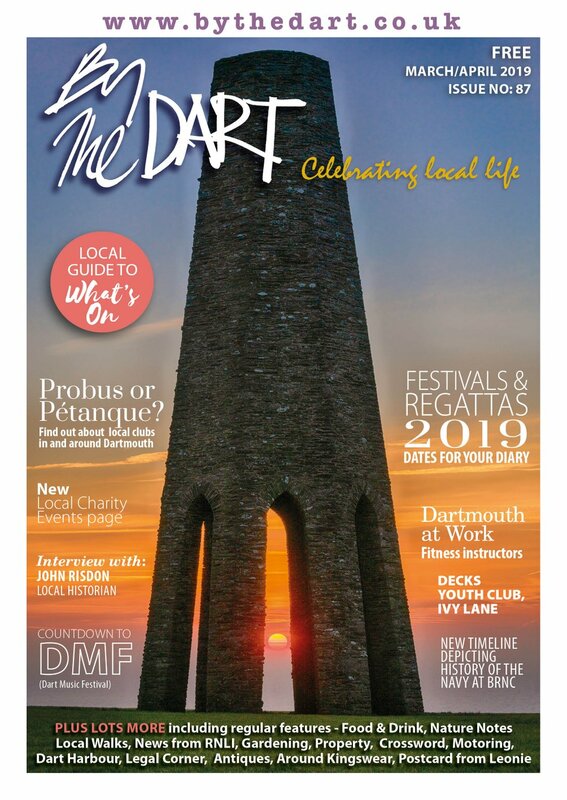 Becky now supplies to a number of galleries in South Devon including Rowbury Gallery in Dartmouth and distributes her posters online via her website. Her work can also be found on greeting cards, published and sold by Newton Abbot-based company Glebe Cottage. Becky is now taking commissions from hotels, companies and individuals. She also does freelance work for advertising agencies and design companies. Becky’s work, including the Limited Edition Dartmouth Regatta print, is available to buy direct from the artist at www.beckybettesworth.co.uk or at Rowbury Gallery, Foss Street, Dartmouth. 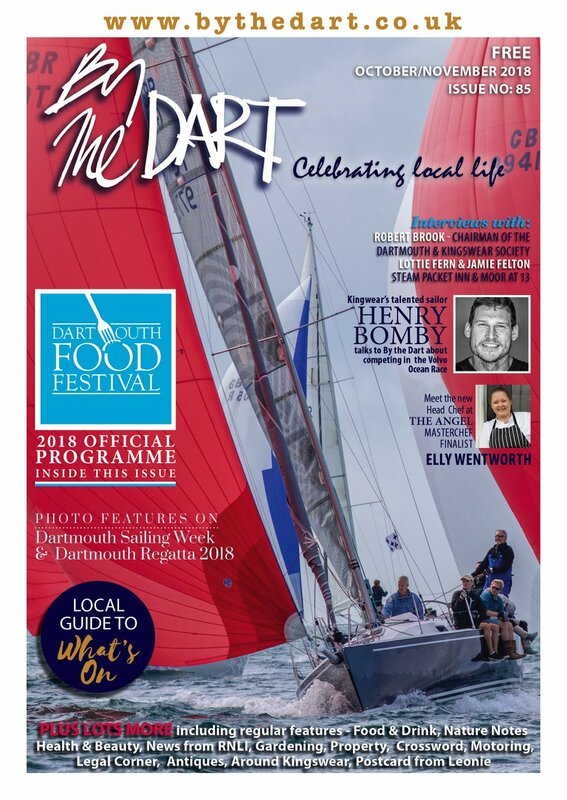 Rowbury Gallery are offering 10% off any of Becky’s pictures until 30th September 2014 if you bring in a copy of the August 2014 Issue of By the Dart. You can follow Becky on facebook.com/beckybettesworth.artist or on Twitter @BeckyBworth.